Maine is quite an underrated travel destination. It covers 5000 miles of beautiful coast, 17 million acres of mysterious forest, over 30,000 miles of enchanting rivers and around 6,000 lakes. With such a geographical makeup it is easy to understand why it is recommended for those that love the outdoors and nature. The scenery is wonderful and you can get access to stellar accommodations, as you can see through the Capital Resorts Group reviews. There are 8 main regions you can visit in Maine: Highlands, Beaches, Lakes and Mountains, Mid-Coast, Moose River Valleys and Kennebec, Casco Bay and Greater Portland, Acadia and Down East and Aroostook County. It is practically impossible to see all of Maine’s wonders so you do want to research numerous attractions so you can see what to include in your itinerary. 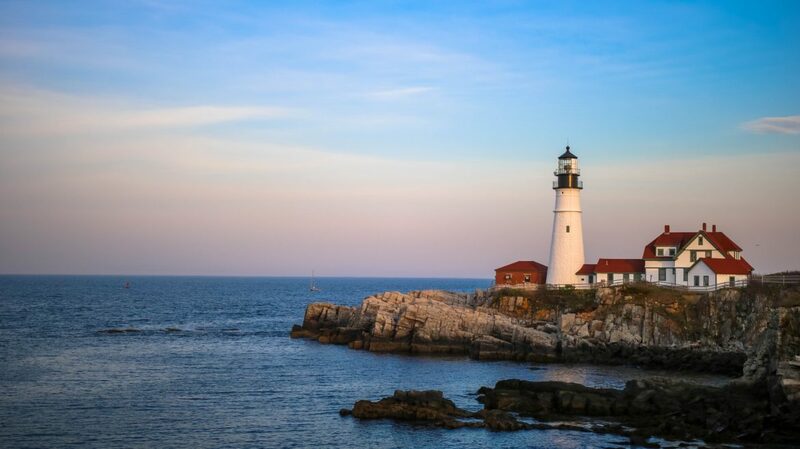 This Maine landmark is a lighthouse that is located in Cape Elizabeth. The structure was commissioned in 1787 by George Washington, with the very first light being lit in the year 1791. This is where Mount Katahdin is found. It is the tallest one in the state and is included in the stunning Appalachian Trail. There are 200,000 acres that are covered, offering incredible breath-taking views, a true wonderland for nature-lovers. Once there, you can enjoy swimming, kayaking, fishing, hiking and camping. You can choose out of numerous waterfalls, streams and lakes. If you enjoy wildlife watching, you can enjoy black bears, white-tailed deer and moose. This is a paradise for lobsters, especially when visiting during the month of August as this is when the Lobster Festival is held. You can actually be a part of numerous festivals and fairs all throughout the summer. You want to visit Prism Glass Gallery for some unique jewelry and glass pieces manufactured by skilled glass artisans. It is hard to beat the sights of mountains staying right close to an ocean. Also, this is one of the very first places to see sunsets in the entire country. This is an incredible 3D model that covers 40 miles on US Route 1. It is located in the Aroostook County, being the largest solar system created in the entire world at a 3D scale. Camden is close to Rockport and is known for its scenery. This picturesque town offers summer shows, cruises and shopping opportunities for all travelers. Be sure that you finish the visit with Chappie’s New England Chowder dish. This is another 3D scale model, but this one is of Earth. Practically, this is a really huge ball that shows the planet exactly as people see it when being in outer space. This Ogunquit 1.25 miles long paved path starts in Oarweed Cove, ending in Ogunquit Beach. You will love the views of the Atlantic while on the trek. Make sure that you stop on one of the rest benches to take it all in. What Are The Main Investments You Will Make During Your Life?